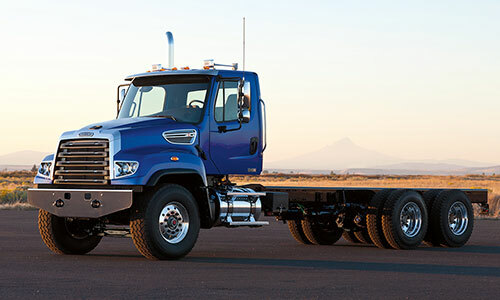 With set-forward or set-back front axles, a full range of severe-duty vocational suspensions and the industry’s widest selection of efficient engines, Freightliner® dump trucks are designed to enhance your trucking company’s bottom line. 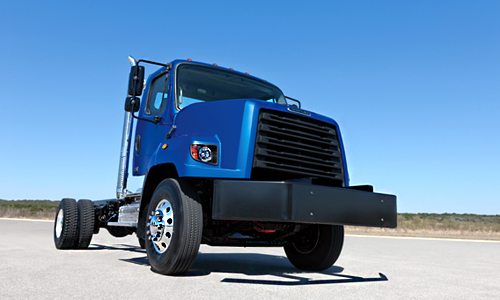 Why not pull larger payloads, haul more aggregate and maneuver more easily through tighter job sites? 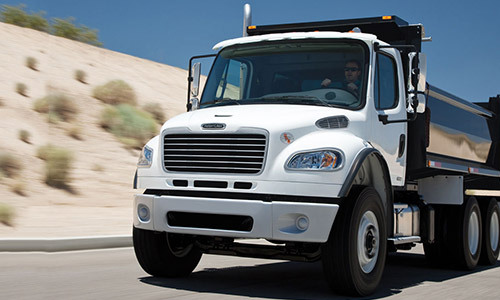 With a Freightliner® severe-duty dump truck, it’s simple. 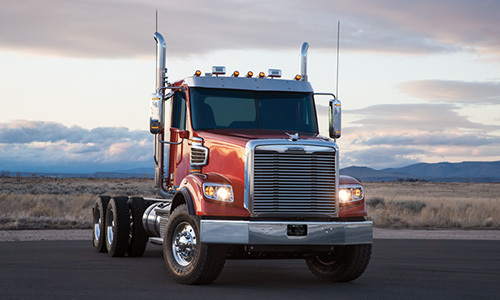 Just spec the truck with your choice of options, from suspension to transmission, for the task at hand. 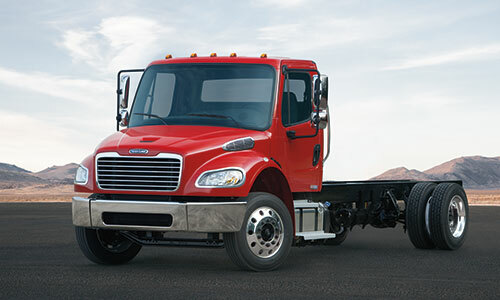 Start moving mass with Freightliner because extreme loads are no problem in a dump truck as tough as you are.